Invest in commercial cleaning services today! Keeping your business clean, tidy, and presentable is important to maintain your success and reputation. Instead of asking your employees to clean, you’ll benefit from hiring a professional cleaning service. Here are five things you probably didn’t know about commercial cleaning services. Not all commercial cleaning services provide the same services. Think about the specific services that you require to make sure that those cleaners are the right fit for your business. Most commercial cleaning companies focus on high-traffic areas in the interior of your space. If you also want exterior cleaning, be sure to ask if that is a service that they provide. The industry in which you work might require some specialized cleaning. Whether your business uses specific chemicals or encounters germs from sick people, the commercial cleaning service that you hire would have to use techniques that make sure that your space is completely sanitized at the end of every day or shift. Keep in mind that every commercial facility requires daily janitorial services. Therefore, you should differentiate those services from deep cleaning services. The daily janitorial duties will include vacuuming and other floor care, trash removal, dusting, and bathroom cleaning. If you have specific requirements or requests about the type of cleaning products that the commercial cleaning company uses, be sure to discuss this during your initial meeting. For example, if you’re a business that prefers products that are better for the environment, inquire about the types of chemicals and solutions that they use. If your commercial facility is currently under construction or if there are any areas of the building that are being renovated, not every commercial cleaning service is equipped to provide services under those circumstances. Cleaning in construction zones is a matter of safety and using the right materials to remove the dust and debris related to construction. 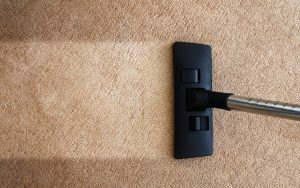 This entry was posted on Friday, March 29th, 2019	at 1:53 pm	and is filed under Commercial Cleaning	. You can follow any responses to this entry through the RSS 2.0	feed. Both comments and pings are currently closed.